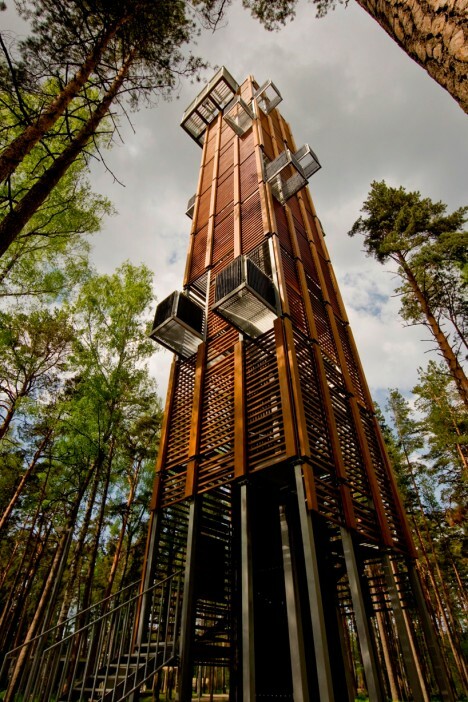 From Canal Street in New Orleans to a nature preserve in Latvia, these diverse observation towers look out over everything from bird sanctuaries to Formula One race tracks. 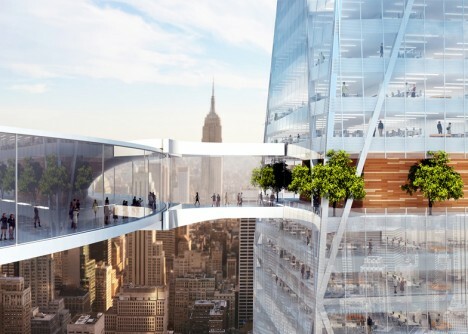 With designs that stand out for both their brilliance and quirks, these 12 viewing decks in the sky provide unparalleled views of both urban and rural settings. 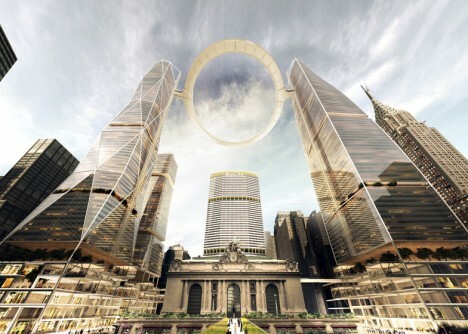 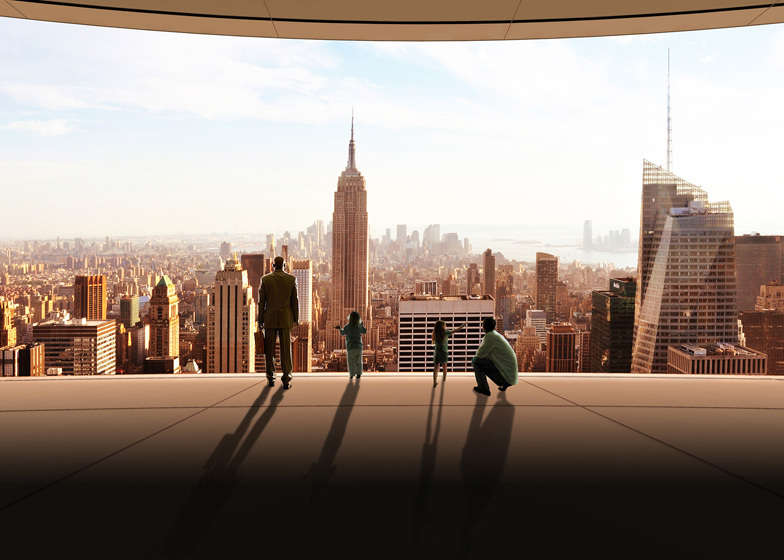 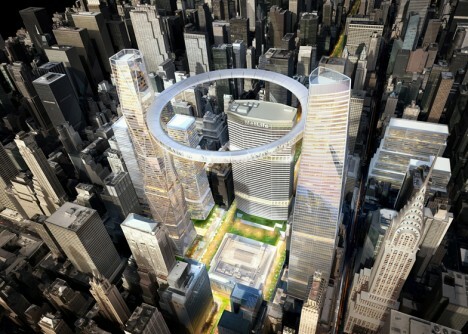 A floating ring slides up and down two supporting towers right over New York City’s Grand Central Terminal in this design by SOM. 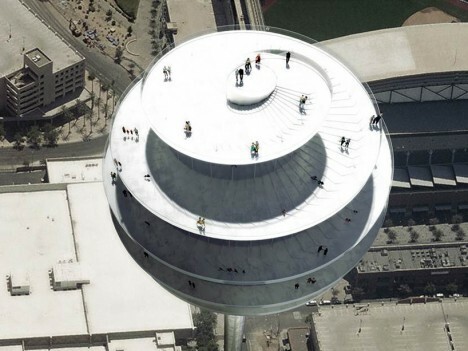 The moving deck preserves the original 100-year-old station while rethinking the available space around the building, turning it into a landmark with 360-degree views of the city. 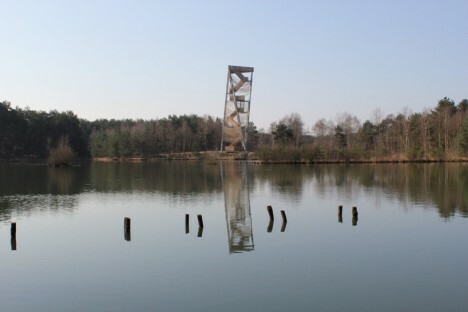 There’s only one angle from which Ateliereen Architecten’s observation tower in Belgium looks like it’s standing up straight. 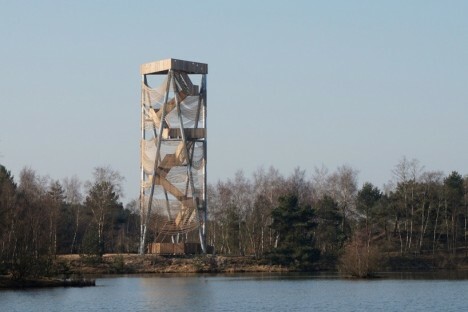 Everywhere else, the 30-meter steel and timber tower draped with ribbons of rope appears to be leaning. 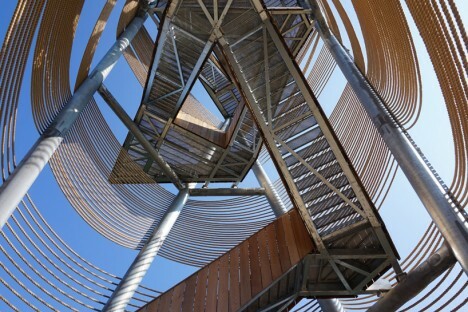 The ropes reference the nearby sand dunes in the nature preserve in which the tower is set. 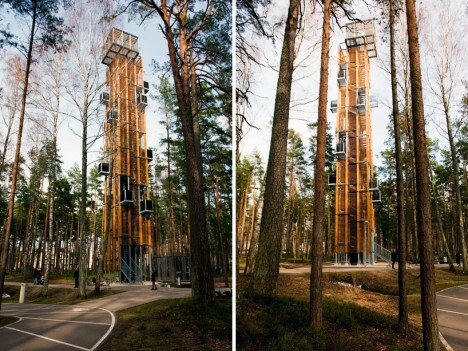 Observation decks jut out from this lookout tower in Jurmala, Latvia like balconies from a skyscraper, providing a variety of vantage points from which to enjoy Dzintaru Park. 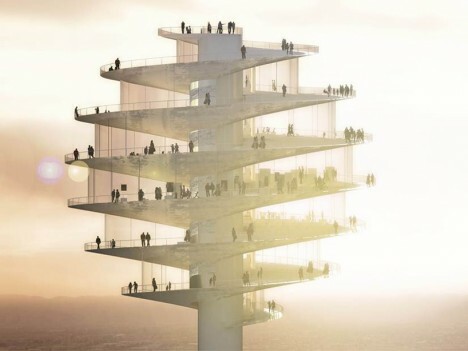 Consisting of an open-air cage, the structure reaches to 124.6 feet at its pinnacle.